The Legislature amended and advanced a bill from select file May 3 that would change how legislative vacancies are filled. Currently, when a legislative seat is vacated, the governor appoints a person to serve in that seat. If the vacancy occurs more than 60 days prior to any general election, then that seat would be filled permanently by the candidate who wins the election, which could include the appointee. If the general election occurs in less than 60 days from the vacancy, the appointee serves the rest of the term. 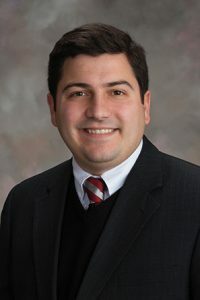 LB451, introduced by Gretna Sen. John Murante, would set an earlier deadline of Feb. 1. He said the bill would provide more time for commissioners to properly administer elections and for voters to make well-informed choices as to their elected representatives. The provisions for filling legislative vacancies also would apply to vacancies on the University of Nebraska’s Board of Regents. 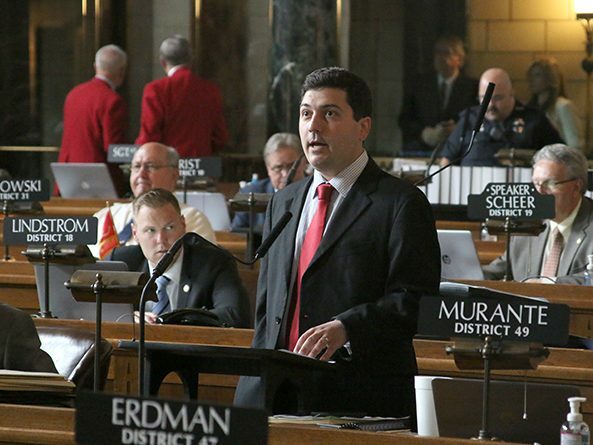 Omaha Sen. Tony Vargas expressed concern during general file debate, saying that changing the process for filling legislative vacancies would prevent constituents from having a say in who represents them as soon as reasonably possible. • after May 1, the appointee would serve the remainder of the legislative term before being subject to election. Under the amendment, if a vacancy occurs on the University of Nebraska’s Board of Regents during the first year of a term or before Feb. 1 of a general election year, the appointee would be subject to election. If the vacancy occurs after Feb. 1 of an election year, the appointee would serve the unexpired term. Candidates filing for political office would be required to file a statement of financial interest before March 1 of the year in which the election will be held, or before filing for election, if the filing deadline is after March 1. Failure to do so would result in the candidate not appearing on the ballot. The bill also would change from July 1 to June 15 the date in even-numbered years that certain political subdivisions must certify the political offices to be filled in an upcoming election. The provision would apply to each reclamation district, county weed district, village, county under township organization, public power district with an annual gross revenue of less than $40 million and educational service unit. Finally, the bill makes several technical changes to the delivery and returning of early voting ballots. The bill was amended on general file to include provisions of LB314, also introduced by Murante, which lengthened the time before an election during which a city must file a proposed economic development plan with the election commissioner or county clerk. As amended, the plan must be filed no later than 50 days prior to a special election, no later than March 1 prior to a primary election and no later than Sept. 1 prior to a general election. The number of days prior to an election that an election notice must appear in the relevant newspaper also would be increased from 40 to 42. In addition, the secretary of state would be allowed to use general funds for maintenance and security of the state’s centralized, computerized voter registration list. Following the 39-0 adoption of the Murante amendment, senators advanced the bill to final reading by voice vote.